We welcome applications for unfunded third-six pupillages from exceptional candidates who have already undertaken their first and second six months of pupillage elsewhere. Such candidates will only be considered for tenancy at Francis Taylor Building after successful completion of a further period of pupillage in these Chambers, which will usually be up to six months in duration, known as a third-six pupillage. As with our twelve-month pupils, third-six pupils can expect to work alongside their pupil supervisor and experience all aspects of their professional lives. They can expect to read their pupil supervisor's instructions and papers, research relevant law, attempt their own draft pleadings and opinions for discussion, and accompany their pupil supervisor to hearings and conferences. Additionally, third-six pupils are also expected to undertake written work for, and attend hearings with, other members of Chambers. Third-six pupils are also expected to accept instructions to undertake work of their own. potential to support the continuing success of Chambers’ corporate strategy and continue to strengthen practice areas. Applications are considered on paper at the first stage, with an interview following if successful at that first stage. Prospective candidates are invited to contact Saira Kabir Sheikh QC in the first instance to discuss their application in confidence prior to a formal application being made. Applications for a third-six pupillage can be made at any time using our standard application form. 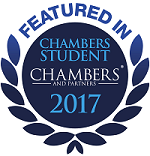 Completed application forms should be emailed to pupillage@ftbchambers.co.uk or returned by post to Saira Kabir Sheikh QC. The application form requests details of two referees (at least one of whom should have been the applicant’s pupil supervisor), and we require that confidential references from these referees should be sent directly to Saira Kabir Sheikh QC.